The metalwork on resilient flash-coved work is precise and requires a great attention to detail. There are three areas of concern that we are going to review: The outside corner, inside corner and return. Cutting requires the use of a metal miter saw. You can cut them without this specific tool, but it will not look as good. Therefore, it is well worth the investment. In addition, a new fine toothed (32-toothblade) hacksaw blade is required. 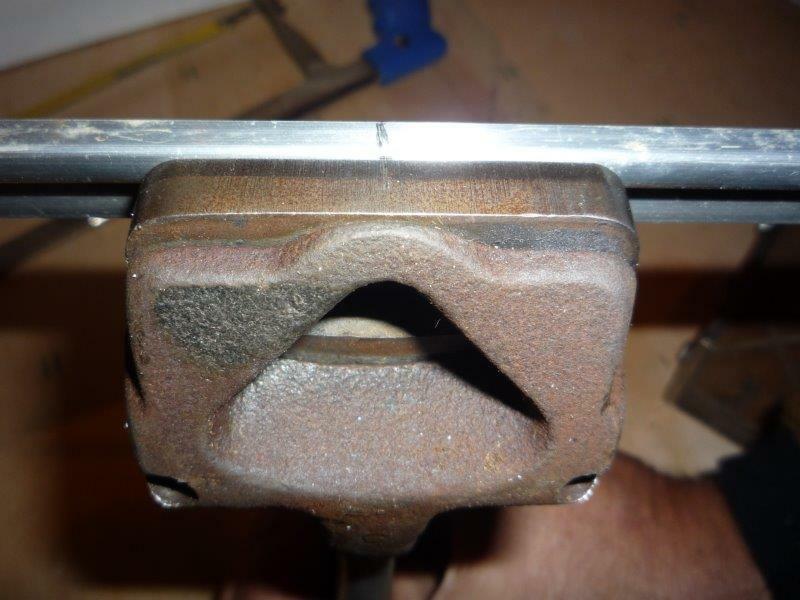 Photo 1: Marking the outside corner – you can either mark or measure the metal. Photo 1: Marking the outside corner – you can either mark or measure the metal. It’s important to make the marks as accurate as possible. I use a mechanical pencil or freshly sharpened pencil for peak accuracy. Photo 2: Cutting the backing of the metal out. Photo 2: Cutting the backing of the metal out. 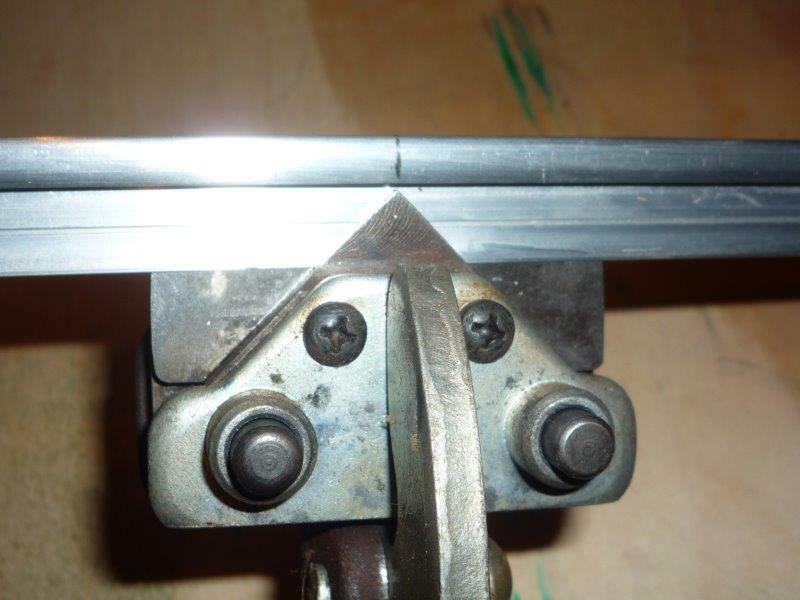 Cut the back flange from the corner, starting with the point at which the miter is going to be bent. Photo 3: Cutting away excess metal. Photo 3: Cutting away excess metal. Cut the backing of the flange the width of the material being removed. 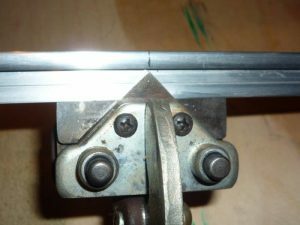 This will allow the miter to be cut and bent without any encumbrance to the metal. Photo 4: Cutting the miter in the metal. Photo 4: Cutting the miter in the metal. Finally, cut the miter for the outside corner. Be sure to start the cut at the pencil mark and continue through the material. Otherwise, you will cut it short. Photo 5: Fitting the outside corner. Photo 5: Fitting the outside corner. 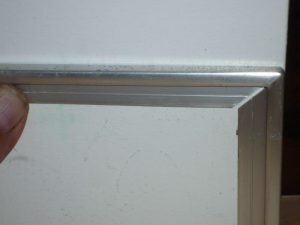 Fitting the outside corner can be done with nails, contact adhesive or double-faced tape. Place the corner on the marks for height, and you are ready to start the cove stick. 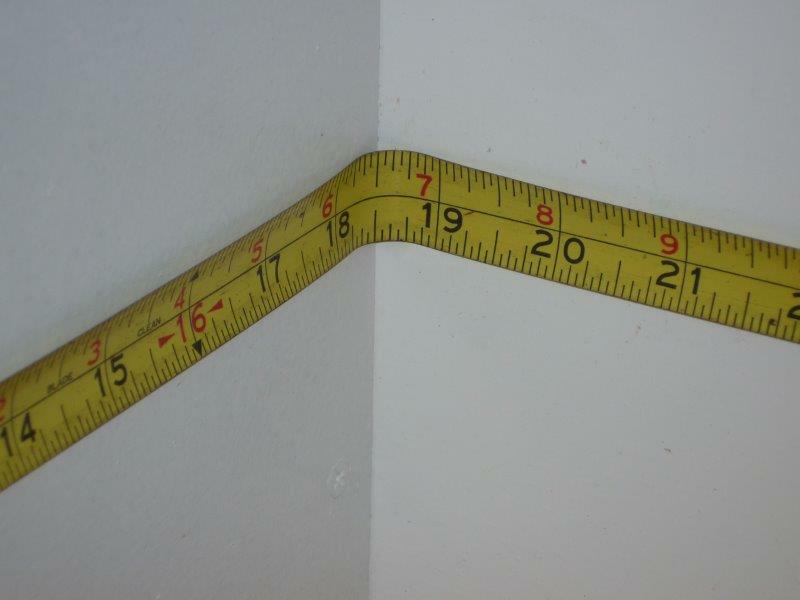 Photo 6: Measuring the wall for the inside corner. Photo 6: Measuring the wall for the inside corner. Be sure to measure the corner for an exact fit. There will be no expansion or contraction in the metal. 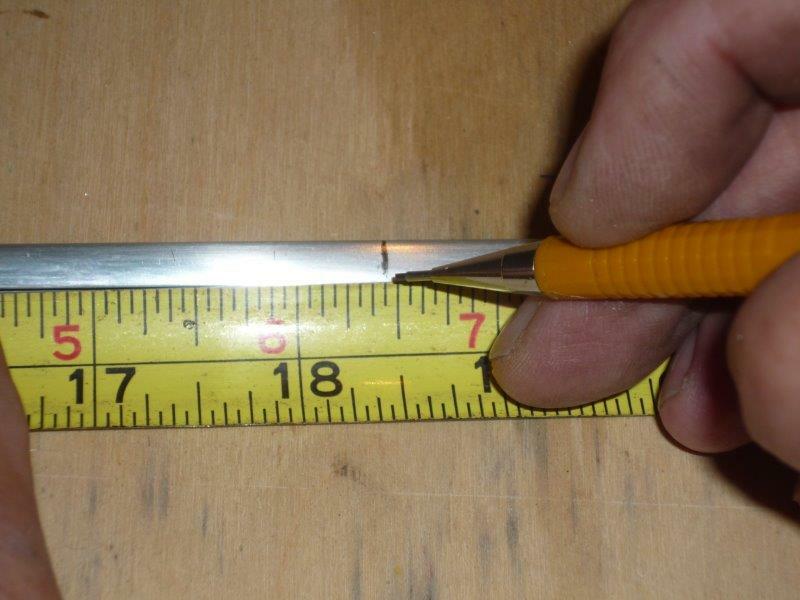 Photo 7: Measuring the metal for the inside corner. 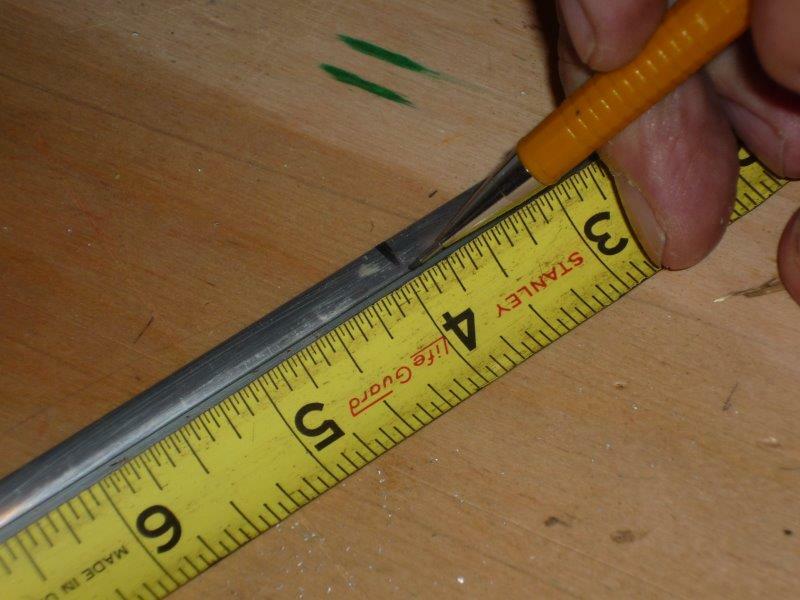 Photo 7: Measuring the metal for the inside corner. 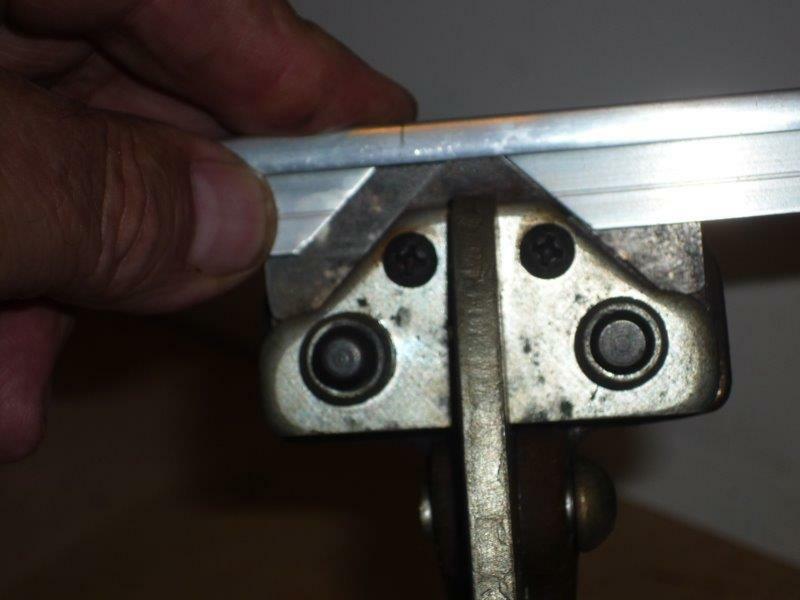 Measure the corner 1/16” short, to allow for the bending and the back of the metal flange. Photo 8: Cutting away the metal back flange. Photo 8: Cutting away the metal back flange. Cut away the back of the flange about halfway up the material. 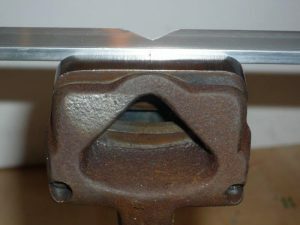 This will allow the metal to bend with ease. 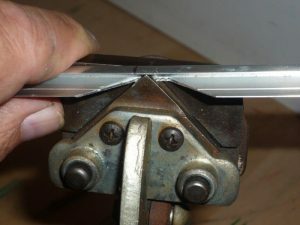 Photo 9: Cutting the miter in the metal. Photo 9: Cutting the miter in the metal. Flip over the metal and cut the miter in the metal. 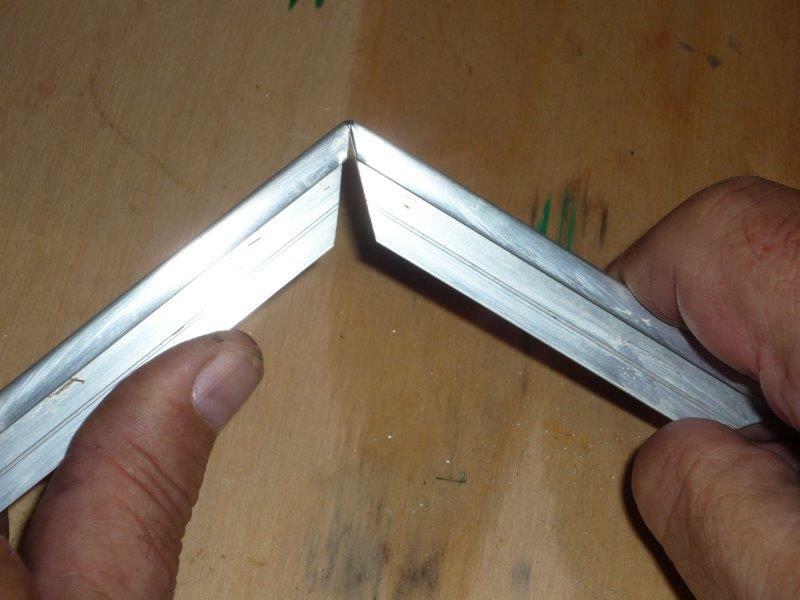 Bend the metal to a 90-degree angle, and you are ready to install. Photo 10: Fitting the inside corner. Photo 10: Fitting the inside corner. Like the outside corner, you can install the inside corner with nails, contact adhesive or double-faced tape. Photo 11: Measuring the metal. Photo 11: Measuring the metal. Measure the metal for the height specified. You may want to cut it short the thickness of the flooring material so that you can tuck under rather than to fit to the flange for later fitting purposes. Photo 12: Cutting the back flange. Photo 12: Cutting the back flange. Align the center on the metal miter with the pencil mark on the metal and cut the flange off. Move about 1/8” (left or right depending on direction) and make a second cut. 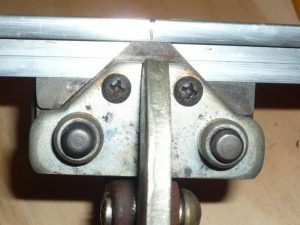 This allows the metal to reach a full 90-degrees. Without the second (relief cut) it is impossible to get that precise of an angle. Photo 13: Cutting the metal face. Photo 13: Cutting the metal face. Turn over the metal miter and cut the face of the metal. 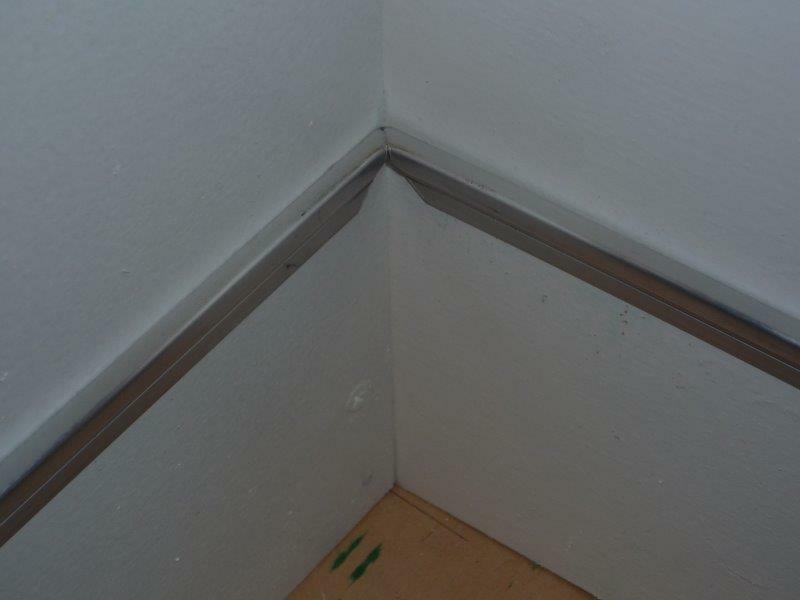 Be sure to cut the metal miter on the pencil mark. 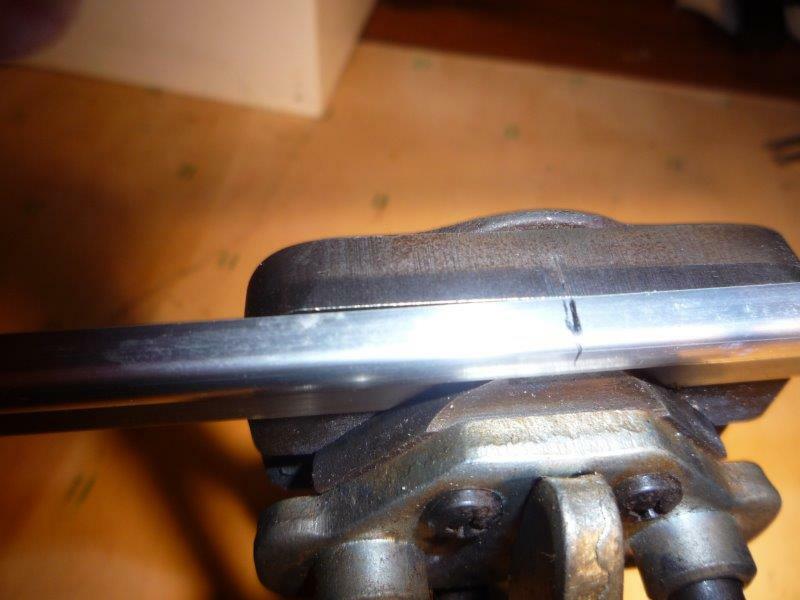 Photo 14: Bending the metal to the proper angle. Photo 14: Bending the metal to the proper angle. Bend the metal to the proper angle and get ready to fasten it into place. Be sure to have a scrap to place under the bottom of the metal. Photo 15: Fitting the return. Photo 15: Fitting the return. 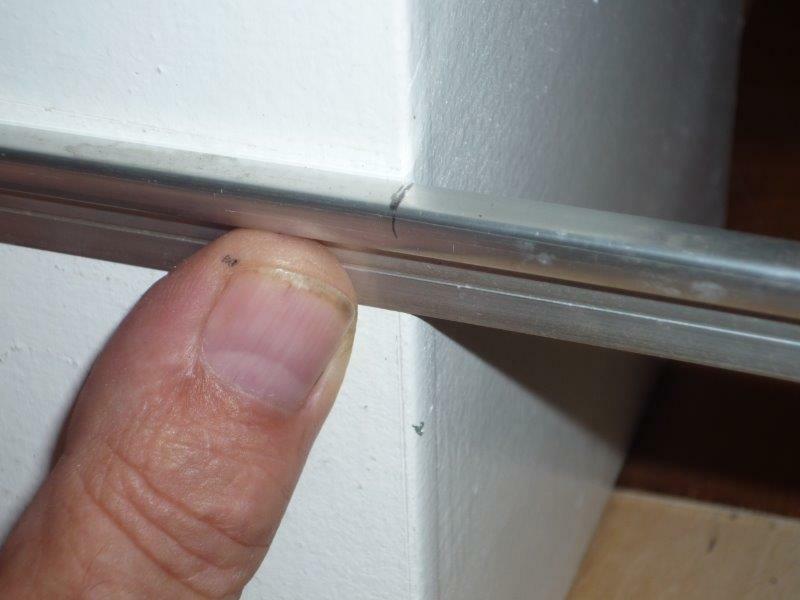 Similar to inside and outside corners, you can fasten using nails, contact adhesive or double-face tape. 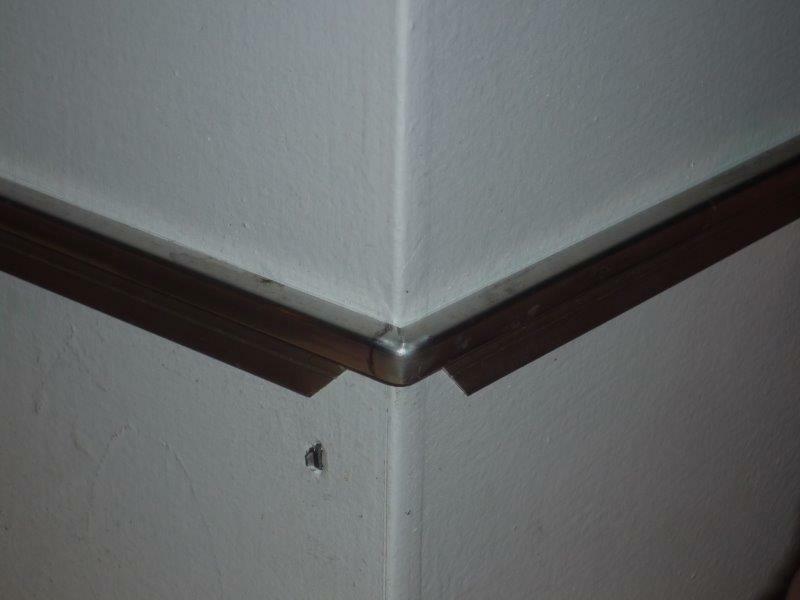 Remember the corners and return are susceptible to heavy abuse, so make sure everything is well attached to the wall. Metalwork can make or break any job. Be sure your installation is making it.